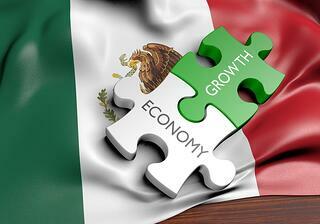 These are interesting times economically for Mexico, making it an equally interesting time to form a business there. However, if you’re willing to weather a little uncertainty, it’s a great time to do so. In a November 2016 press release, the IMF praised Mexico for having “navigated successfully a complex external environment, characterized by heightened global financial market volatility,” and went on to write that “the economy continues to grow at a moderate pace and inflation is close to target” Indeed, the IMF reports that real GDP growth in Mexico was projected to come in at 2.1% in 2016 with the primary drivers being private consumption, a rise in remittances, robust employment and real wage growth. The labor market was strong with steady job creation primarily in services and residential construction. In line with the strengthening jobs market, there is rise in credit to the private sector. Another positive data point is that the balance sheets of both private sector (total private corporate debt is low at approximately 25% of GDP) and financial institutions remain strong. There are, of course, points of concern, with both known and unknown consequences. It is well known that PEMEX (Petroleos Mexicanos) has been negatively affected by the decline in oil production and prices, resulting in a significant increase in debt. The government took measures to assist by providing financial assistance, cutting expenses and restructuring the pension scheme2. Other concerns have unknown consequences such as the new tone of protectionism in the U.S. (increasing barriers to trade and capital can delay investment). On the flip of that same coin, the promised increase in U.S. manufacturing production may help Mexico and could lead to an increase in exports given the ties between the two countries. Current economic conditions aside, if your entity needs to expand into Mexico, the process for formations is known and proven --- although there are some requirements that are unexpected to those who have only formed entities in the U.S. The most popular entity types in Mexico are corporations (Sociedad Anonima or S.A and the Sociedad Anonima De Capital Variable or S.A. De C.V) and the limited liability company (Sociedad de Responsabilidad Limitada or S. De R.L.). There is a third type of entity that is rising in popularity -- the S.A.P.I. -- Sociedad Anónima Promotora de Inversion (Mexican investment promotion company). A minimum of one director/manager and a minimum of two stockholders/partners (the S.De R.L has a maximum of 50 while the S.A has no minimum). For the S.A., the minimum capital cannot be less than 50,000 Mexican pesos and for an S De R.L., it cannot be less than 3,000 Mexican pesos. Only the S.A. may have multiple share classes and special shares for employee stock options. The S.A.P.I. is a special investment corporation similar to the S.A. but with more robust minority shareholders’ rights and tax advantages. It is commonly used in real estate and capital-intensive projects. Also, in March 2016, President Peña Nieto announced the passage of a law that created a simplified business category called Sociedad for Acciones Simplificadas (S.A.S.) This type of company can be registered online, however, it is geared to the domestic entrepreneur (the owner needs to have a Mexican Resident tax I.D.). Once the desired entity type for the foreign owned entity is identified, the process for formation includes obtaining approval from the Ministry of Foreign Affairs for the name, providing an international power of attorney (duly notarized and apostilled) to the resident legal representative, drafting the Articles of Association and by-laws and executing the Articles before a notary in Mexico (if qualified, the Mexican resident legal representative can do this). Once the Articles are signed and notarized, you have your Mexican entity! With your company established, it is time to register it! All companies with foreign investors must register at the Registry of Foreign Investment within 40 working days. Similarly, the company is required to obtain a tax identification number, a digital signature and a digital symbol within 30 days of formation. There are other possible registrations after the company is formed, including the Public Registry of Commerce, the Social Security Institute and the National Business Information Registry. Once your company is formed and has a Tax I.D., tax filing obligations, the scope of which is beyond this article, arise. Be aware that these filings are required even if the company is not operating or doing business. Are You Ready to “Take the Plunge”? The economic outlook in Mexico is positive, but not without risks. Depending on what business you’re in, you may determine that the potential rewards of doing business in Mexico outweigh the risks. If/when you decide to “take the plunge”, you’ll find that the formation process is relatively pain-free, although there are some additional hoops to jump through (vs. forming in the U.S.). Are you ready to start doing business in Mexico?